Hon Hai, the company that assembles Apple's iPhones and iPads, is considering an investment of $40 million in Pennsylvania for manufacturing and research facilities, reports the WSJ. 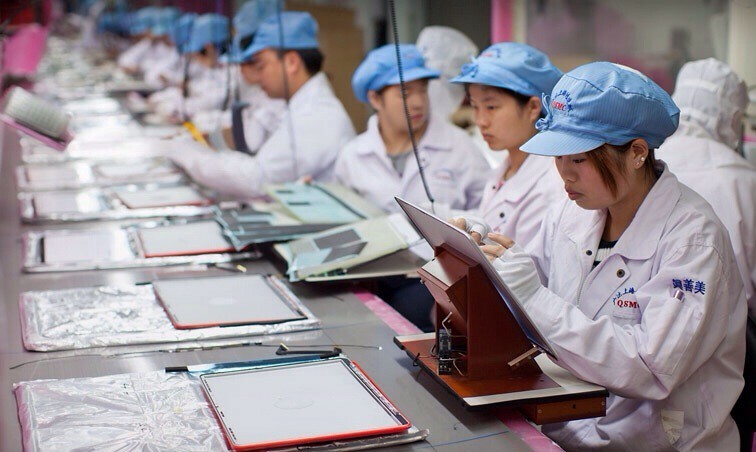 The Taiwanese contract manufacturer for consumer electronics, also known as Foxconn, said it may invest US$30 million in manufacturing facilities for high-end telecommunications products and US$10 million for automation research and development in the state. "Pennsylvania, Virginia and New Jersey have offered us very attractive investment incentives," Chairman Terry Gou said in a statement. "We consider investments in the U.S. because we want to establish a high tech manufacturing base in the country." As Apple has been diversifying its suppliers, Hon Hai has been looking to diversify its clients as well. The company is interested in expanding into medical, automobile and environmentally friendly products. It's also looking at increased automation to deal with rising labor costs and issues in China. Hon Hai already has sites in over ten countries including Brazil, Mexico, Vietnam, Turkey, and Hungary.